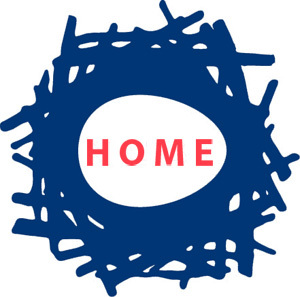 Home→Uncategorized→I could have posted this as a comment but I think that this deserves scrutiny! I could have posted this as a comment but I think that this deserves scrutiny! Perhaps it is just me being my cynical self but I smell something fishy here. It appears as if Kamala Harris is being foisted on us by the establishment. Yesterday I posted a comment about Jim Clyburn remaining neutral with regards to the South Carolina primary. Today that article was updated with this little ditty. From this article I now see this. Harris has made it a point to stay connected to her sorority throughout her political rise. She speaks regularly with her line sisters, many of whom attended her book event this month in Washington and greeted her with the sorority’s traditional “skee-wee.” The senator also attended the AKA Boule, a biennial summer conference, last year in Texas. “That will play in this election, no question about it. I think that people ought to really be aware that that’s a very, very important aspect here in the black community,” House Majority Whip Jim Clyburn (D-S.C.), who will attend the gala with his wife, said of the black Greek ties. Clyburn is a member of the black fraternity Omega Psi Phi. It is a foregone conclusion that South Carolina will go Republican in any Presidential election yet we are led to believe this crock. This coming from a past Clinton supporter who was quoted in the Politico articles. Last week’s poll of Iowa voters had everyone on the right, left and center going bananas about the 2020 Democratic presidential primary, with talk of new front runners emerging and one-time favorites sinking. But while an Iowa poll is indeed a great conversational starter, and good fodder for political warriors online, the reality is that Iowa will not decide who takes on Trump in 2020. Instead, the road to heaven, and to that temporary public housing unit at 1600 Pennsylvania Ave, runs through God’s Country: South Carolina. If you plan on being president come 2021, you need to realize a simple fact as soon as possible: whoever wins South Carolina will not only likely be our Democratic Nominee, but also has a very strong chance of being the 46th President. That’s because one of the core ingredients to being a winning Democratic candidate is winning the most loyal voting bloc in the party: the African-American vote. It’s no secret that South Carolina’s “First in the South” status is key in that regard. Roughly 60% of the voters who will cast their vote in its Democratic primary will be African American, and when you look at the states that follow, a number of them reflect similar voting demographics. History has taught us that you can win the nomination while losing in Iowa and competing well in other early states, because the battleground, the true battleground, is in the Palmetto State. One additional bit of information. Washington (CNN)Fresh off Sen. Kamala Harris’ announcement that she is running for the White House in 2020, the California Democrat heads to Iowa next Monday to face questions from the state’s influential voters at a town hall hosted by CNN’s Jake Tapper. The CNN town hall at Drake University in Des Moines — which will air at 10 p.m. ET, 9 p.m. CT and 7 p.m. PT — will offer Harris her first chance to connect with Iowa’s Democratic caucus-goers after her debut as a 2020 contender. She received a heroes’ welcome from women in the Hawkeye State last fall when she campaigned for down-ballot female candidates in a tour that took her across the state. None of the other candidates who have announced their presidential ambitions were given a similar opportunity. Now that I got this off of my chest comments with regards to this are welcome. Kamala is being foisted on us. Yes. As much as I hate to say it, I think Biden is probably the best antidote to Trump. Dems will hold their noses and vote for ANY Dem this time. But to win back the Trumpers, who are somewhat disenchanted by now, Biden is probably going to be able to speak to them. IF he would take on a young progressive Latino, like Julian Castro, I think he would win, and Castro would be in a position to run in 2024. Biden has baggage, but so has Harris. And she does NOT have Biden’s charm and recognition. They are both neoliberals, but a progressive veep could temper Joe’s worst impulses. At this point, I think the Latinx vote is becoming more relevant than the black vote, if we want to talk identity politics. There is a larger Latinx population right now than black. How many are eligible to vote I’m not sure. You would think that after Obama, blacks wouldn’t look to a black POTUS for much relief of their absolutely real problems/issues. Harris will be even worse for them. I still love Bernie best, but he seems to turn an awful lot of people off. Including a lot of new voters. I read Splinter, and they HATE Bernie. They blame him for Hill’s loss; wrongly, but there you are. I don’t see Biden (or Harris!) appealing to heartland farmers at least (as far as winning back Trumpers I mean). Yet he refuses to criticize the policies of a President who flipped Iowa from blue to red with the help of farmers. “I think there’s some growing uneasiness, but I think generally we’re just going to let things play out,” he says with stoic resolve. Trump is betting that the patience and patriotism that comes naturally in farm country will keep this part of his base on his side. And to hedge that bet, there is $12 billion in emergency subsidies. In an age of spiraling national debt, the money is all borrowed from China and the second round of checks is scheduled to go out to farmers when the government reopens. There is no way Biden will beat the obnoxious orange stupidazzed moran. I hope Bernie will run if this financially-bought-and-paid-for yahoo starts becoming a real Democraptic threat. T and R, humphrey!! Hi humphrey. I’m getting so bummed out watching this presidential cycle develop, and yes, I think that the party power people ($$$$$$) will be pushing hard for probably a Biden/Harris duo….an administration that most likely would be filled with Clinton people, some Obama people, and completely directed by donors, neocons, and other corrupt people and agendas that would not result in the change we need. I’ll tell you one more thing. None of the conservatives that I know would EVER vote for Biden or Harris. None. Or any Democrat, for that matter. I am referring to the former Democrats/union people who defected to Trump. Biden could win them back, I believe. I think Bernie could, too. But Bernie will never be allowed another chance by the DNC. Hell, he wasn’t allowed the first one. At this point, Trump’s support is largely confined to the crazy theocratic crowd, and I expect they are not enough, despite their outsized influence. As I’ve said before, all politics is local. Until we can influence lower levels of government it a meaningful way, having the most progressive POTUS in the world – no matter how much I personally want to see it!! – is not going to change much. ANY Dem will give us 4 years to build up a more local constituency. mags, do yourself a favor and take a timeout from politics. I’m a fellow political junkie, and I do it. This whole campaign hysteria is bullshite. The election is 1 year and 8 months away. No telling what will happen between now and then. No reason to get bummed as of yet. The reason I posted this was more or less as an alert as to whom the establishment is pushing. I still think that Bernie will make his entry at the appropriate time. The other entrants will be competing for scraps. True progressives will rally behind Bernie rather than the posers. His authenticity will carry the day. Awhile back read something about how Harris had the Dem Mega donors lining up behind her for a 2020 run. Right now I consider Harris a younger $hillary lite. She sure seems to be getting the same royalty treatment as Hillary. BTW, the latest senseless gun massacre in Sebring is not in central FL. Sebring is on the Gulf coast, south of Tampa and Sarasota. Oh, Kamala likes Cardi B? I don’t remember that hippies looked like this. Must be a different reality. ?